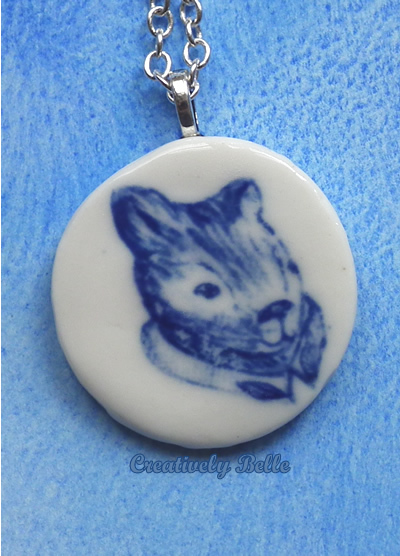 One of the most handsome and characterful wombats you’ll ever meet – Lord Tasman of the Gum Leaf Order appears here in a necklace – tactile, captivating and all about being a real gentleman and easily makes every day creative. 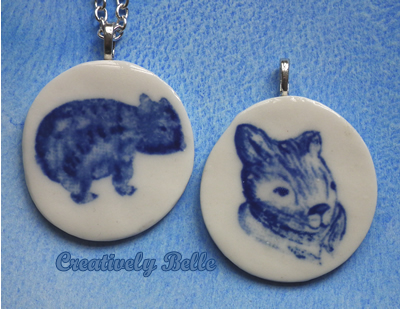 All wombats have very distinct personalities and this one is no exception, he turned up one day when I was playing with my paints. 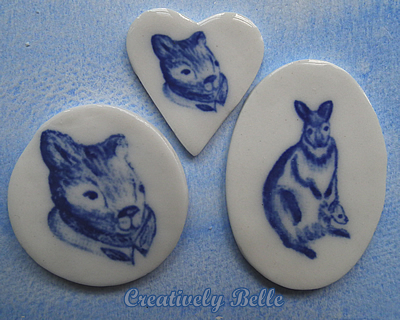 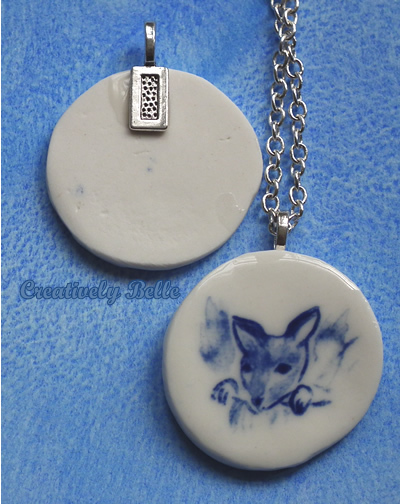 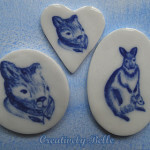 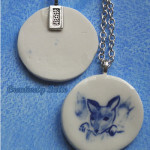 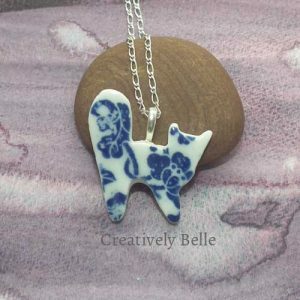 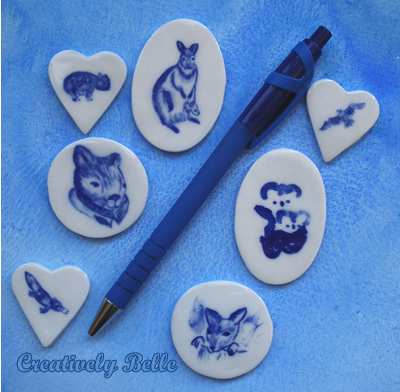 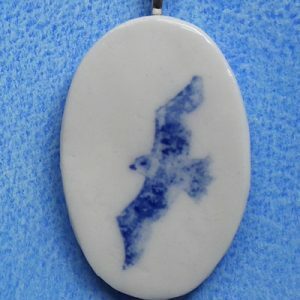 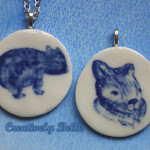 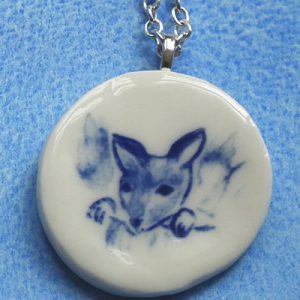 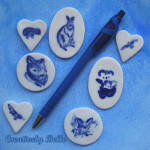 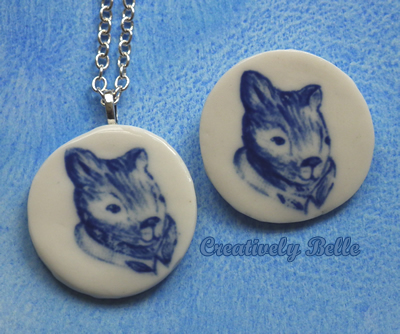 This blue and white wombat necklace is for anyone who has a sense of humour, loves wombats and can be ideal for the wombat collector in your life. 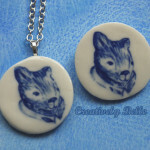 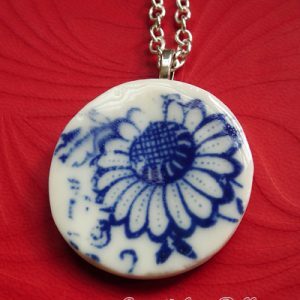 A smaller version of this charming creature is also available as a brooch or necklace.